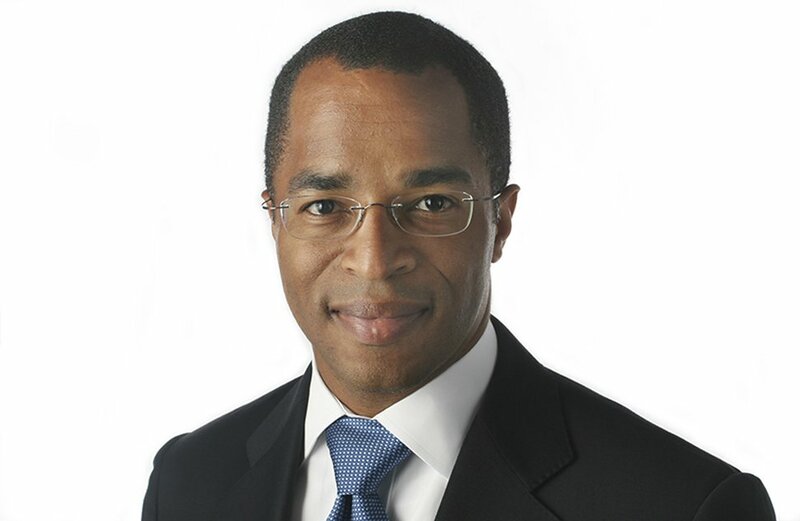 Jonathan Capehart: Prove it, America. Prove that President Trump is not who we are. On Election Day 2008, there was one thought that dominated my thinking: "America, prove me right." It was a plea to my country to do what I thought it was going to do: Elect the first African-American president of the United States. It was a hope that white Americans would entrust the highest office in the land to a black man and, in so doing, allow our nation to take a major step forward in the jagged forward march to live up to our celebrated ideals. That night, after it was official, I fled my office at The Washington Post and raced home, not looking at any of the overjoyed faces streaming the other way to the White House. To do so would be to ugly cry in public. The seemingly nonstop cheering and chanting by revelers making their way down 16th Street that night lulled me to sleep. Eight years later on Election Day 2016, there was one thought that dominated my thinking. "America, prove me wrong." It was a plea to my country to not do what I thought it was going to do: Elect a man president of the United States who ran an openly racist, xenophobic, misogynistic and nativist campaign. He dared turn over rocks and exploit the bugs of hatred and bigotry scurrying beneath that previous politicians thought better not to disturb. His reward was the Republican presidential nomination. My hope that night was that America would prove me wrong. I feared that Donald Trump's ugly campaign that traded the dog whistle for a bullhorn and exhortations to violence would be rewarded. That the nation would bow to the politics of racism and division from a man who rose to political prominence by peddling the racist birther lie that then-President Barack Obama was not born in the United States. That night, I raced home before the ballot-counting began. As much as I wanted Hillary Clinton to win, the atmosphere filled me with dread - the same way it did on Election Night 2004, when then-Sen. John Kerry, D-Mass., failed to oust President George W. Bush. With my soon-to-be-husband up in New York City waiting under a glass ceiling that would never break, I wanted to be at home alone. On election eve, appearing on "The Daily Show With Trevor Noah," I told the audience that if Trump won Pennsylvania, which everyone said and believed was an impossibility, he won the presidency. When the state was called for Trump, making him the president-elect of the United States, I went to bed, crushed that America lived up to my low expectations. This Election Day, one thought again dominates my thinking. "America, prove me right." Since the day after Trump's inauguration, when millions swarmed Washington and other cities around the nation (and world) for the women's march to protest the new president, the American people have raised their voices against Trump's myriad affronts to norms, decency and truth. As horrendous as his I-don't-give-a-damn response to the pipe-bomb assassination plot to take out prominent Democrats was, as callous as his look-at-me preening in the wake of the Pittsburgh synagogue slaughter later that same week and as heartless as his whine that both horrific incidents slowed GOP momentum in the midterms, nothing was more offensive to me than his ceding the moral authority of the Oval Office after the August 2017 murderous celebration of white supremacy in Charlottesville. "Not all of those people were neo-Nazis, believe me. Not all of those people were white supremacists, by any stretch," the Queens-born builder said at a defiant news conference in the gilded lobby of his eponymous tower in Manhattan on Aug. 15, 2017. Trump would later add, "You had some very bad people in that group. But you also had people that were very fine people on both sides." Shameful. Believe it or not, that shameful display is nothing compared with the unrepentant racism that is Trump's closing argument in the 2018 midterm elections. Rather than run on his tax cuts (a constant Republican goal) and two Supreme Court justices (a constant conservative goal), not to mention the record number of judicial appointments to lower federal courts, Trump is railing against a slow-moving "caravan" of Central American migrants making their way to our southern border with Mexico. They are nowhere close to reaching the United States, yet Trump is vowing to send 15,000 troops to prevent them from entering the country. He said that he wants the military to think of rocks as rifles. With his rhetoric, Trump is a latter-day George Wallace standing in America's golden door. The audience gathered for my speech hosted by the Fulbright Center and the John Adams Institute in Amsterdam last month was as interested and concerned about the midterm elections as the Americans casting ballots. They are keenly aware that what happens on Nov. 6 will have an impact on them in some way. But it was in that speech that I expressed why I thought America would prove me right this time. Why the goodness and decency of the American people would win out. The changes America has made just in my lifetime are awe-inspiring. I am a descendant of slaves, whose parents grew up in the segregated Jim Crow South. My cousins and I are the first generation in our family who didn't have to pick cotton. And I was able to marry the man I love and have the ceremony officiated by Eric Holder, the attorney general of the United States who made one decision that made it all possible. My standing before you today as an openly gay journalist at one of America's preeminent newspapers is proof of my country's capacity to do right. Right by its people. Right by its founding principles and ideals. There's something about being on foreign soil that brings home just how powerful America is - not as a superpower, but as an idea. After another event in the Dutch capital, I noticed the cover photo on the phone of a JAI staffer. It was of the Statue of Liberty. And it was a glorious reminder that the Lady in the Harbor, that symbol of freedom and democracy, still means something to people around the world despite policies and actions that call everything into question. In the lede of their Nov. 3 story, The Post's Matt Viser and Philip Rucker crystallized the 2018 midterm elections. 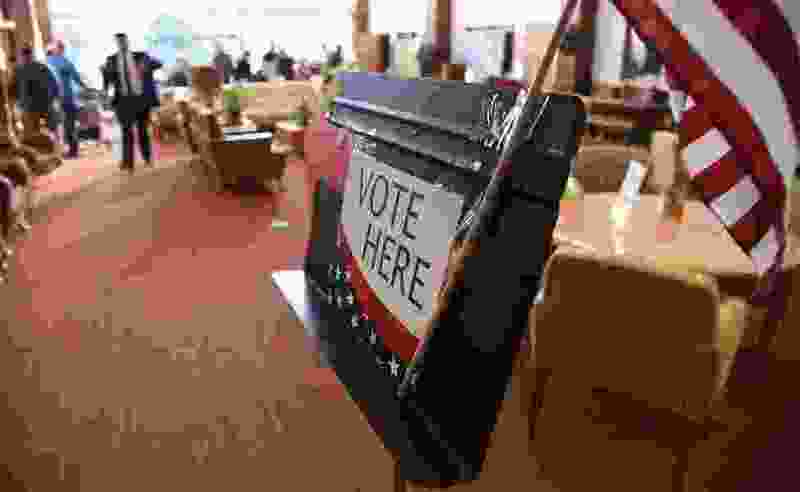 "Two years of political volatility will culminate Tuesday," they wrote, "when voters for the first time since the stunning 2016 election render a nationwide judgment on whether Trumpism is a historic anomaly or a reflection of modern-day America." Jonathan Capehart, The Washington Post.